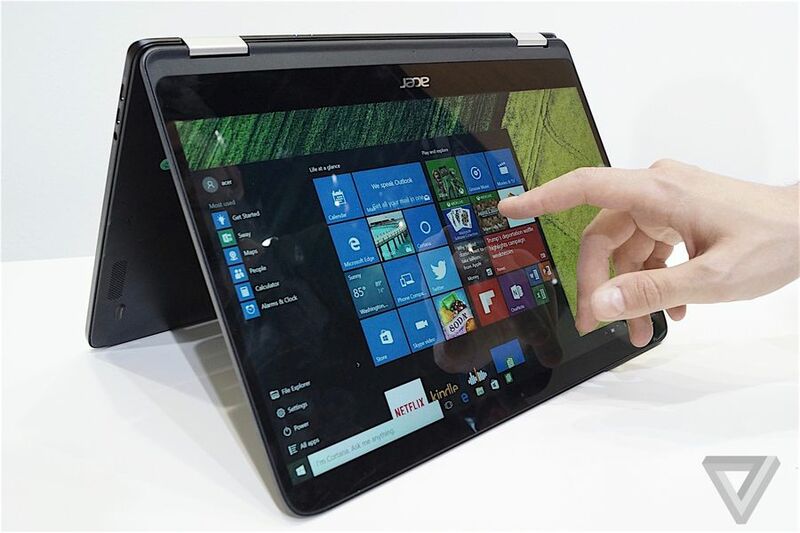 Acer has launched new models in its Spin variant of 2-in-1 laptops with additions to the swift and predator series. The company announced the release of the Spin 7 laptop in India. The Spin 7 is priced at Rs. 1,09,000. This is supposed to be the world's thinnest convertible laptop. It will be available across key retail stores in India. The world's thinnest convertible notebook is made of an aluminium unibody that is 10.98mm thick. The base Operating System will be Windows 10 in Spin 7. It weights less then 1.2kg. You can convert laptop into a tablet by rotating its display to 360 degrees. The display screen is made of IPS touchscreen display which supports full HD display of 1920x1080 pixels. Acer Spin 7 will come with seventh generation Intel Core i7 processor. It includes 8GB of RAM with 256GB SATA III SSD and two USB ports. It also includes Wi-Fi 802.11ac connectivity and a memory card reader. The company also promise a battery life up to 8 hours. Chandrahas Panigrahi, Sr. Director and Consumer Business Head Acer India, said " We are extremely excited to launch one of our product in India. We always focus on leading innovations and the Spin 7 is a reflection of that."